Is Maradona a Lousy Coach? Diego Maradona is considered one of the greatest footballers of all time. The Argentine sensation already has a safe place in World Cup history as one of the best players to ever compete in the event. But like many other legendary players is Diego Maradona’s legacy and his management tactics bad for his current team? When I think of legends that didn’t transfer over to management positions well the first person I think of is Michael Jordan. A man who as a general manager of the Washington Wizards expected the same type of results from the players that he accomplished over his own career. In short the problem with MJ like bosses is that they don’t realize you can’t mirror a legend and expecting one to do so is simply asinine. And drawing out a blueprint that relies on one is even more hopeless. Messi didn’t have a bad Cup like ESPN and other news sites are claiming due to his lack of goals, but I did think that Maradona’s formula for success was too reliant on the superstar to produce all on his own. Argentina didn’t have a bad Cup run this summer either, but the way they went out has to leave many skeptics of Maradona’s loose tactics this summer. After all this is the same guy that brought in over 100 players this WCQ and was still changing the formation weeks before the Cup arrived. And much like Jordan, Maradona isn’t afraid to boast about his short term achievements as a manager. The former forward was awfully giddy when his side made it to the quarterfinals and he often liked to remind the media of his recent success. Of course with no significant coaching experience before Maradona was outdone in the later rounds. 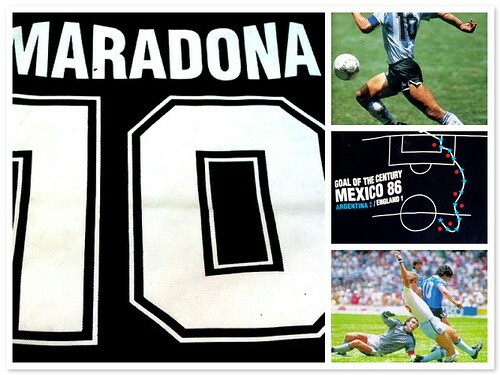 Regardless of his strange coaching tactics, Maradona is still the most famous Argentine of all time. Recently a proposal of a monument was made for the Hand of God goal scorer by Argentine lawmakers. And how many losing coaches would be offered such an honor as that? But the only question left is will it be a monument of Maradona the player or Maradona the coach?